Was in New York City this past weekend and I did not see a single RTS in service. Are they all gone? If yes, when was the last service day? It's possibly that they may have be relegated to Brooklyn. Brooklyn always had a large concentration of them and usually the last borough to obtain the latest equipment. On Thursday, January 14th, 2016, I found an RTS on the Q30 laying over at Little Neck Plaza alongside the LIE. I think restrooms are available at Five Guys, Panera, and Starbucks. The photo below is from ten months ago. I think MJQ still has some RTS's, but, to your point, a lot of the RTS's are running out of depots in the Brooklyn and Queens Divisions. It is appropriate that Brooklyn remains an RTS stronghold, since the NYCTA debuted their revenue RTS-04's on the B17 back in 1981. The Staten Island Division is a genuine mecca for Orions (and lately NovaBus LFS) and it has not had RTS's in many years. The old MaBSTOA depots (i.e. the Manhattan and Bronx Divisions) are running mainly Orion HEVs and artics from NF and Nova. Those who like to photograph buses should make efforts to get their shots of RTSs (and Orion 05's, too), because high-floor transits rapidly are becoming "rare birds" at DOB. As with the Fishbowls, one day we looked up and they were all gone. Gershow scrap has a contract to scrap 20 NYC MTA buses. The video shows an RTS being scrapped. Brooklyn and Queens share the honors for running the largest remaining RTS's fleets in New York City - roughly 250 or so in each borough. The Quill Depot in Manhattan still has RTS's - they run 100% of the M66 and M72 runs (due to height limitations on the 65th Street Transverse through Central Park) and also frequently appear on routes like the M31 and M57. The Bronx actually has almost 50 RTS's these days. 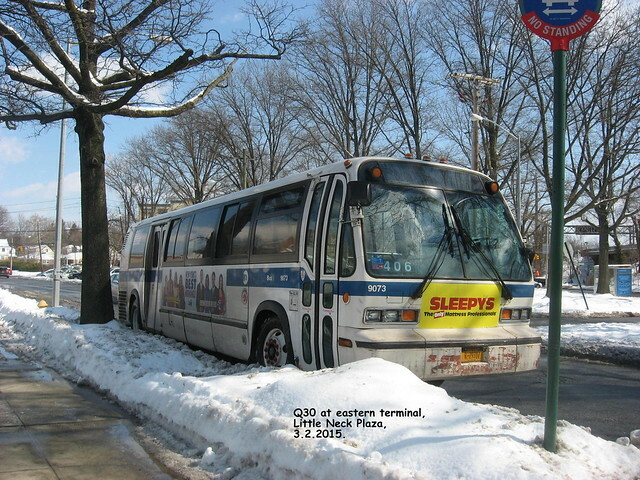 Eastchester Depot has 25 RTS's for the Bx23 and Q50 and West Farms Depot runs 23 of them on their Bx routes. This is quite the late comeback from a few years ago when there were basically no RTS's in the borough. Staten Island is the only borough with zero RTS buses - not sure when the last ones ran there, but it's been a few years.